Many players favor vintage sounding pickups, however due to design and age factors, they (more then often) lack enough power to push the front end of the amp. Those who are knowledgeable about tone know how to bring out the sweetness of the amp with familiar "staple" pedals like TS808 or SD-1. 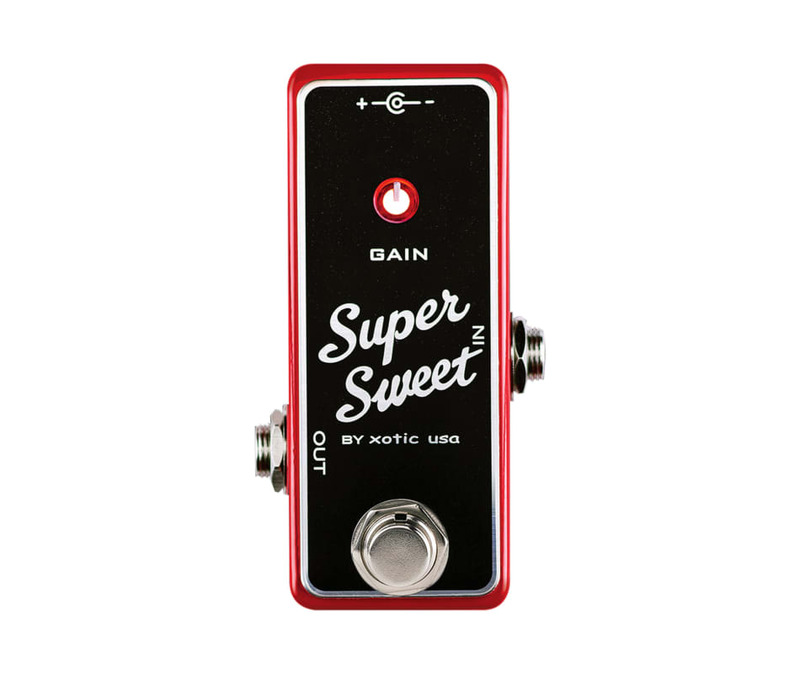 These players have developed a technique and sound based around leaving the overdrive pedal "on" all the time however not everybody likes this preference.The Super Sweet Boost (SSB) offers a dynamic and transparent +20dB clean boost perfectly tuned for transferring the articulation of your guitar playing. The SSB is incorporated with a high performance Class A preamplifier built around the famous JRC4558 chip. The boost frequency can be selected by an external DIP switch that offers versatile tone shaping capabilities. Premium components have been selected to ensure maximum durability and tone quality throughout the circuit including a super heavy duty foot switch, audio grade capacitors and custom designed potentiometer.There's no doubt that it's everybody's dream to discover "THE TONE" and the SSB gives you the potential of discovering new meaning to your guitar tone.